Last week, Fox aired another preview for the fall finale of Fox’s Gotham series, Worse Than A Crime, which aired yesterday. This episode however, included a sneak preview as well for the most anticipated heroes movie, Batman v Superman: Dawn of Justice. For those who missed out the episode last night, no worries. We have the preview and new footage for this superhero adventure which will hit the theaters on March, 25, 2016. The footage is awesome and it begins with Batman, being all chained up. A couple of moments later, Superman arrives. Along with his arrival, some soldiers kneel in his honor. This footage shows us that our Man of Steel actually captured The Dark Knight himself. The preview ends with Superman taking off Batman’s mask and also the preview gives us the actual release date of the full trailer, which will be tomorrow, Wednesday, 2 December. The trailer will air during ABC’s Jimmy Kimmel Live! so don’t miss it. 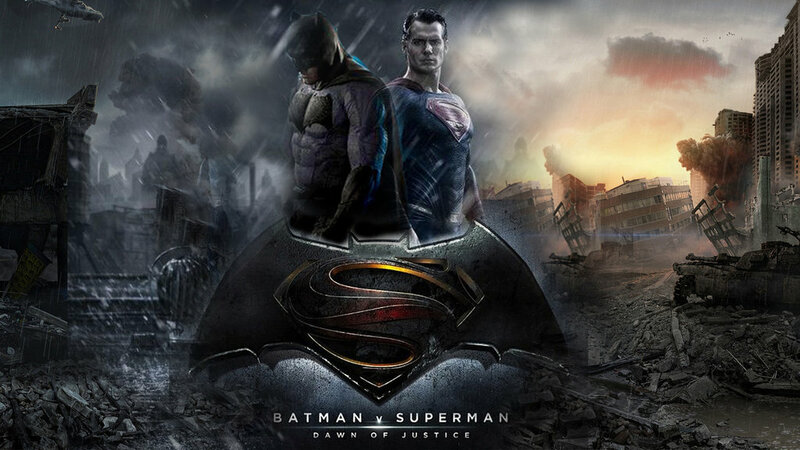 Batman v Superman: Dawn of Justice is considered to be the first big-screen adventure that brings both Batman and Superman together. Because of this, many people have high expectations from this movie. At this year’s Comic Con, The director in charge with the movie, Zack Snyder revealed new stuff about this movie, such as the fact that Batman’s Gotham and Superman’s Metropolis are “twin cities” separated by a bay, similar to San Francisco and Oakland. Another thing we learned is that a part of the destruction in 2013’s Man of Steel got into Gotham too, destroying Wayne Tower. We believe that this part right here will set the conflict between Batman and Superman. The cast which will appear in Batman v Superman: Dawn of Justice is made of Amy Adams (Lois Lane), Diane Lane (Martha Kent) and Laurence Fishburne (Perry White), along with Gal Gadot as Wonder Woman, Jesse Eisenberg as Lex Luthor, Jeremy Irons as Alfred and Holly Hunter which will have a special role for this movie. Aquaman will be a part of the movie as well, played by Jason Momoa, and rumor has it that The Flash (Ezra Miller) and Cyborg (Ray Fisher) may appear in the movie too. Check out the latest sneak preview of the upcoming movie Batman v Superman: Dawn of Justice and don’t miss out the worldwide trailer of the movie on Jimmy Kimmel Live! show. Enjoy!